Known for hosting in its territory the Real Fábrica de Naipes (Royal Playing Card Factory) of Spain, Macharaviaya celebrates every 4 July US independence festivities. A celebration with clear American inspiration that is justified in the village's own historical happening. For this reason, Macharaviaya is twinned with the US city of Pensacola. Macharaviaya owes the creation of the Real Fábrica de Naipes to the Gálvez family. With it the village experienced a great commercial boom, due to its monopoly on selling card decks in America. For its impressive economic progress, this village became known as 'Little Madrid'. The factory ceased operations in 1815 and the building was converted into housing. 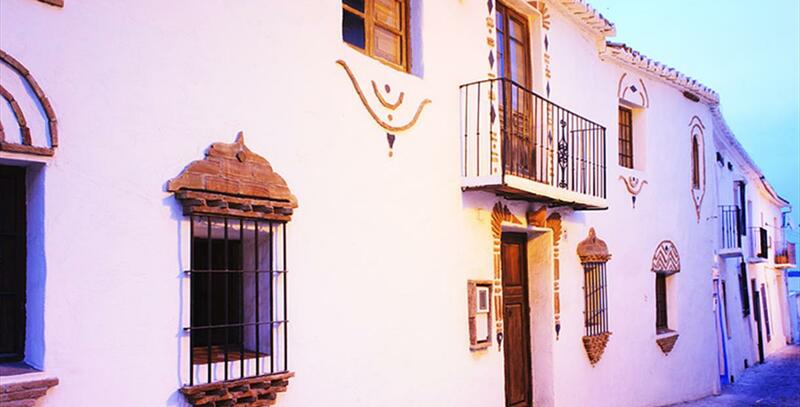 The Museo de los Gálvez is dedicated to the family that led to Macharaviaya's development and to the history of this town in the Axarquía. Its facilities also host contemporary art and the headquarters of the villa's Cultural Week. In appreciation of this same family, at the entrance of Macharaviaya El Templete de los Gálvez, from the eighteenth century was erected, as well as a fountain with the bust of Bernardo de Gálvez, for the role he played in the War of American Independence. Macharaviaya's oldest monument is the Church of San Jacinto. It was founded in the sixteenth century, even before the town was constituted, although it was rebuilt in 1783. Hence its design replicates the canons of classical baroque style. The renovation work was made possible thanks to the patronage of the Gálvez family. Some members lie in the pantheon located in the basement of the temple, along with sculptures representing them. Three kilometres from Macharaviaya, in the hamlet of Benaque, you can visit the church of Nuestra Señora de la Encarnación. It is a Mudejar style temple built in the XVI century on an ancient mosque that preserves the minaret, converted into a belfry. Very close is the birthplace of Salvador Rueda, with furniture, books and personal belongings of the poet who is considered the precursor of Spanish modernism. Macharaviaya belongs to the region of Axarquía, 27km from Málaga City. From the capital of the Costa del Sol, it can be accessed by car via Autovía del Mediterráneo (A-7) and the MA-106/MA-3201, leading to Macharaviaya. The same road reaches Benaque, about 3km away from the town centre. Macharaviaya sits on a set of hills shaped like an amphitheatre with fabulous views of the Mediterranean Sea. 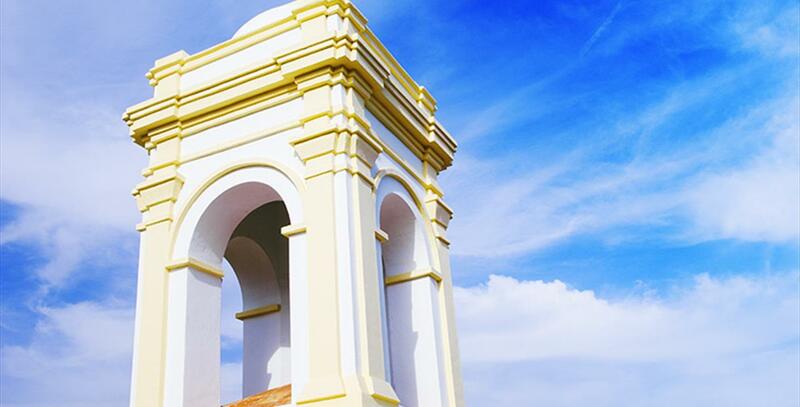 From the highest points of its territory, the views of the Axarquía coast are a spectacle to behold. 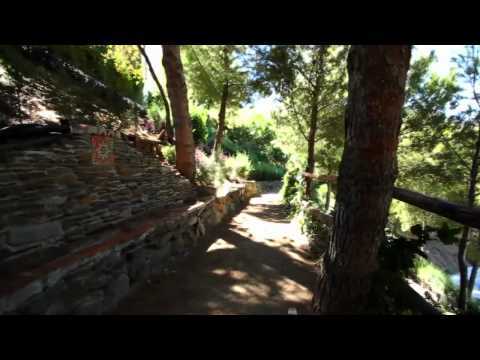 Two streams bathe the city of inner Malaga in which the areas of Mediterranean bush and vines plantations predominate. Among its rugged landscapes some highlights include the cerro de la Capellanía hill, which is more than 480 metres high. Every 4 July, Macharaviaya join the commemoration of American Independence Day with historical performances, concerts, fireworks and even an American-style barbecue. Thus the role played by Bernardo de Gálvez in the War of US Independence is remembered. This historical figure is also honoured with various cultural events every 30 November, the anniversary of his death. Coinciding with the Cultural Week, in August Macharaviaya celebrates the San Bernardo Fiestas. The procession of the saint joins activities as diverse as musical performances of flamenco and verdiales, a popular festival, art exhibitions and poetry recitals in the parish church. The Amateur Flamenco Contest in August, and the Provincial Pastoral Meeting in honour of the poet Salvador Rueda in December, complete the annual calendar of festivals in Macharaviaya. Other notable events are the celebrations in honour of the Virgen del Rosario, held in September and October in the parishes of Benaque and Vallejos, respectively. Macharaviaya"s gastronomy largely shares its culinary tradition with the rest of municipalities in the region of Axarquía. Dishes include sopa de maimones (type of garlic soup) and ajoblanco (cold concoction of almonds, garlic, bread and oil mixed together), but also tomato soup, gazpacho (universal cold soup made of tomatoes, cucumber, bread, oil and pepper) and gazpachuelo (hot soup made from hake, potatoes and a thin light mayonnaise with lemon). For those with the sweetest tooth we recommend you try the pestiños, dough cupcakes normally bathed in honey, which are eaten all year round. Macharaviaya was founded as a village in 1572 out of an old Arab hamlet. The name it owes to the original Muslim settlement: Machar Ibn Yahha, meaning "meadows of Yahha"s son". 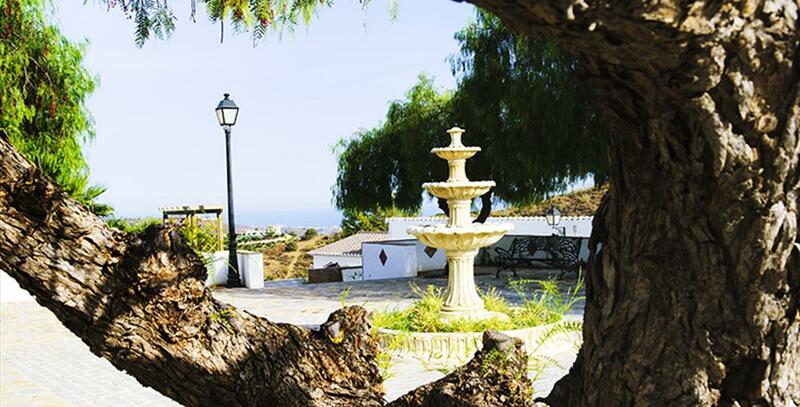 When the Moors were expelled, the village was not repopulated following a plan like other towns in Axarquía. This meant it was in decay for a very long time. In the eighteenth century, the Gálvez gave a boost to the local economy, and the boom extended well into the nineteenth century. The most influential people in Málaga visited Macharaviaya to contact the powerful family. Meanwhile, the Gálvez established the Royal Card Factory, rehabilitated the Church of San Jacinto, created the Agricultural Bank, supplied drinking water to the villagers and paved the streets with the cobblestones that are still there. The town became so popular that it came to be known as "Little Madrid". Miguel Gálvez, Spanish ambassador in St Petersburg, sent Catherine II some of the wines produced in Macharaviaya. She found them so delicious that she lifted the export barriers for them. One of the most illustrious members of the Gálvez family was José Gálvez y Gallardo. Born into an aristocratic family, he was empowered by King Charles III of Spain to make reforms in the Americas. He founded a city in Texas, USA, and named it after his family surname: Galveston. Back in Spain, he was granted the title of Marquis of Sonora and made a Knight of the Order of Charles III. On 2 December 1857, a boy was born into a humble family of farmers in the village of Benaque. His name was Salvador Rueda. Rueda paved the way for Spanish Modernism to flourish in poetry. We was designated a Poet of the Hispanic World in the Philippines and Cuba. 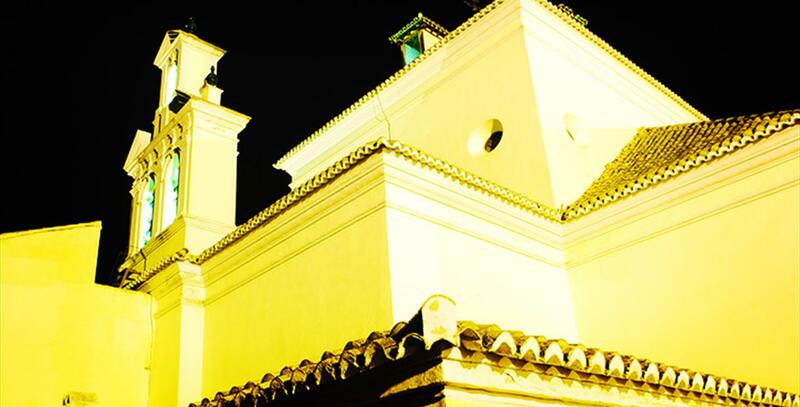 He spent his final years in the district of La Coracha in Málaga City, right below the Arab Fortress. In the late nineteenth century, the vineyards of Axarquía were severely affected by an epidemic of phylloxera. This resulted in the depopulation of some of the villages, and Macharaviaya was no exception. After a few decades, it emerged from its lethargy, became a haven for artists and attracted home buyers in search of rehabilitated empty houses. The Gálvez were supposed to be so rich that many legends were told about them. One of them has to do with the rehabilitation work at the Church of San Jacinto. They say the Gálvez wanted to replace floor tiles with coins. When King Charles III heard about their plans, he forbade them to carry them out: he did not want church-goers to step on his effigy or the Spanish coat of arms! He suggested placing the coins on edge instead, but many more were needed this way. They also say there is a hidden treasure in the church.